At a Kids Music Party with Nick & Jen the children will be jumping like a frog, flying like a super kid, riding on a train, walking like a giant and crawling like a spider. They will dance and move their bodies to our irresistible movement songs. They will help us tell musical stories about pirates and jungle animals. They will play shakers, drums, scrapers and triangles. 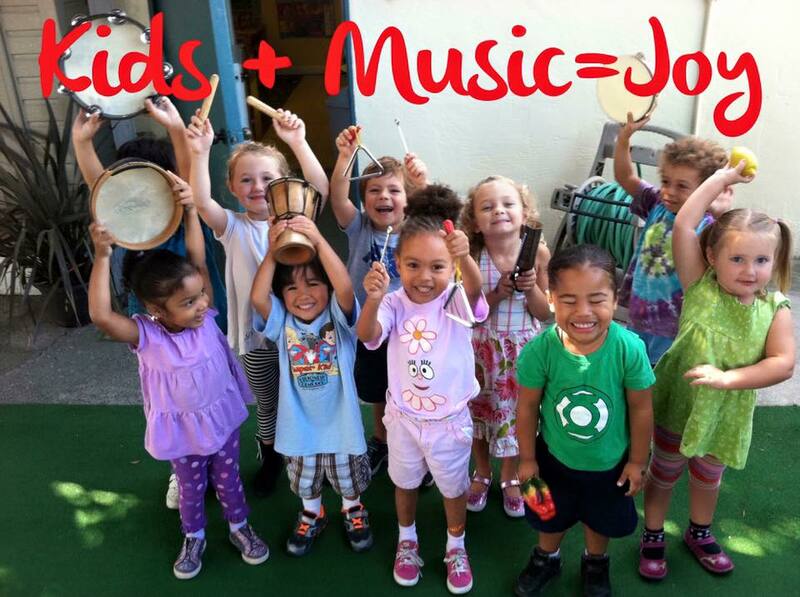 They will celebrate the joy of music and dance in the way that only a child can in a safe and enriching environment. Renowned children’s music entertainers Nick the Music Man and Jen the Fairy Dancer perform shows for thousands of children each year and now they’re available to entertain the children at your child’s birthday party. Their enthusiastic and energetic presentation combined with engaging songs and activities will have the children moving, jumping, dancing, singing and imagining. Nick and Jen specialize in capturing the attention of the group and keeping them engaged for the duration of the music time. With 20 years of experience working with children in the classroom they have mastered the ability to tailor their show to each individual group in a way that will keep them fascinated and engaged. Bringing the guitar, a small sound system, and a collection of hand percussion instruments that the children will have a chance to play, they will bring the joy of music and dance to your child’s special day. The first thing to understand about our music parties is that they are interactive. The children are never asked to sit and passively watch us perform. The children are as much a part of the show as Jen and I. The next thing is that we are full of excitement and enthusiasm. We bring our full attention and energy to our music parties. We never phone it in and we always give the best experience possible. We are tuned in to the children. The energy of the group dictates what songs, games and activities we present on a moment to moment basis. In order to keep the children fully engaged we need to be aware of their mood, energy, age level and the “chemistry” of the group. Hip Hop Dance Music For Kids!